A winter adventure in Northern Arizona in February 2013. Shayna Funke, Michael Cranston and Michael Funke skied the Kaibab Plateau from Jacob Lake to North Rim Grand Canyon including a section of the Arizona Trail and backpacked Grand Canyon. 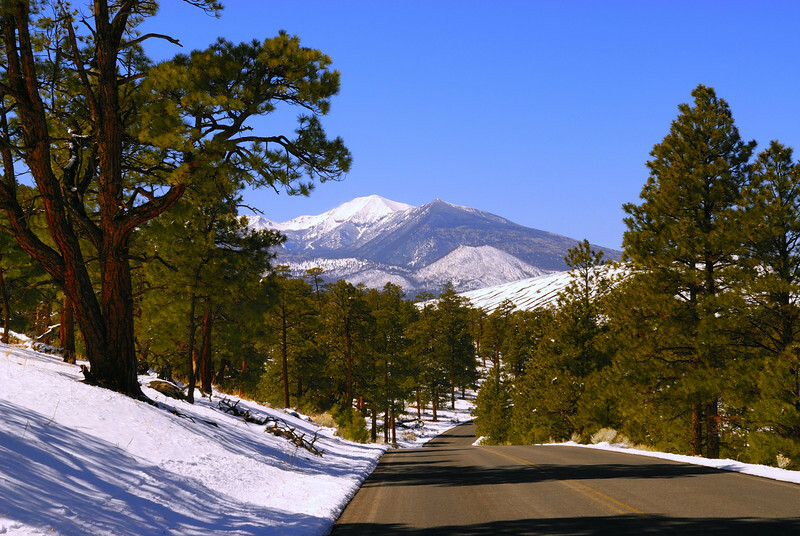 Mount Humphries and the San Francisco Peaks west of Sunset Crater.